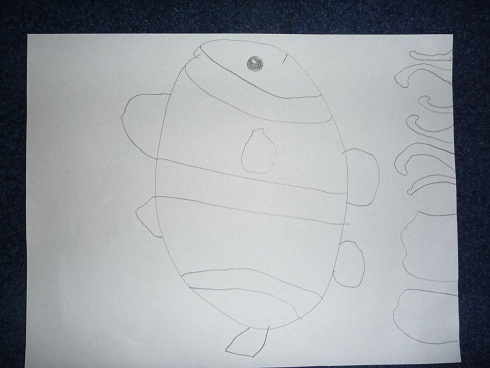 creating the environment that gives them that autonomy. How do I help prepare the environment so that the kids take more control of their learning? How do I help them become independent learners? How do I bring in new materials and raise new topics and yet take the "teaching" out of their learning? What is my role in 'motivating' them to tackle difficult subjects (for them)? This article talks about the much discussed topics of late -- rewards and praise. It goes in depth about autonomy, interest/meaning, competence, and relatedness. More articles from Montessori Life, spring 2011. 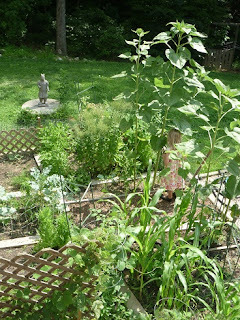 I placed a few links to other issues of Montessori Life (2010, 2009) in the yellow section of my Blogs I Enjoy page. 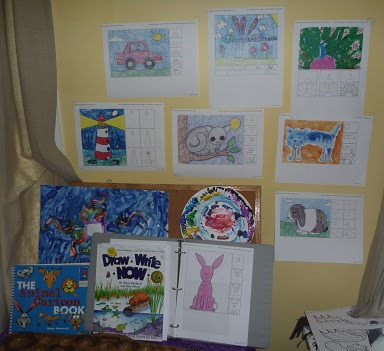 Anyway, hope to share more as I get some things ironed out and get our homeschool room ready for the new semester. My brain's working overtime, the ideas are flowing, but can I make this work? ADDING TO THIS: I came across another AMI (Montessori) paper that talks about the Montessori's View of Cosmic Education. 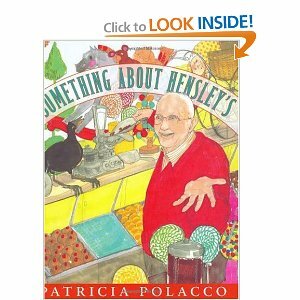 It's another good overview if you want to learn more about the Montessori Great Lessons or the discussion of Fundamental Needs. As I wrote a few days ago, it's time to re-share the first two great lessons with my kids so I've been reading up about things again. I love these pictures of other people's learning spaces. 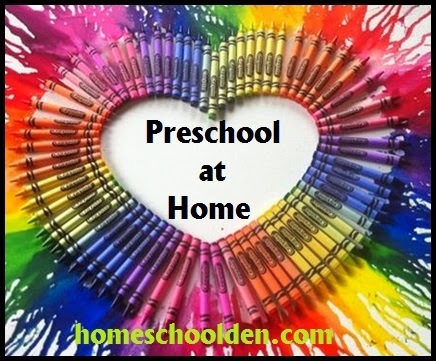 I learned about pinterest from Laura (of My Montessori Journey) who now homeschools her two boys over at Walnut Hill Homeschool. Crystal and Boomer have been introduced, but have yet to spend unsupervised time together. 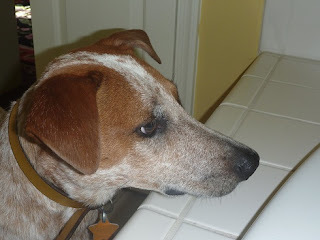 Boomer has spent most of her life chasing cats and squirrels out of the vicinity. She's still not sure what to make of Crystal! Boomer is a Red Heeler. We got her from the RSPCA in Australia. She's now three. This is my lucky month! 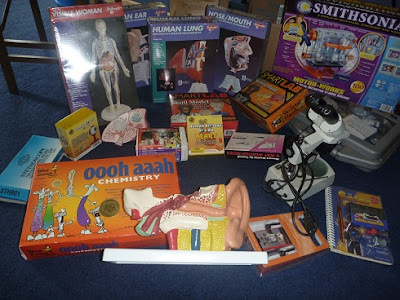 Anyway, all this will be an amazing addition to our human body unit. 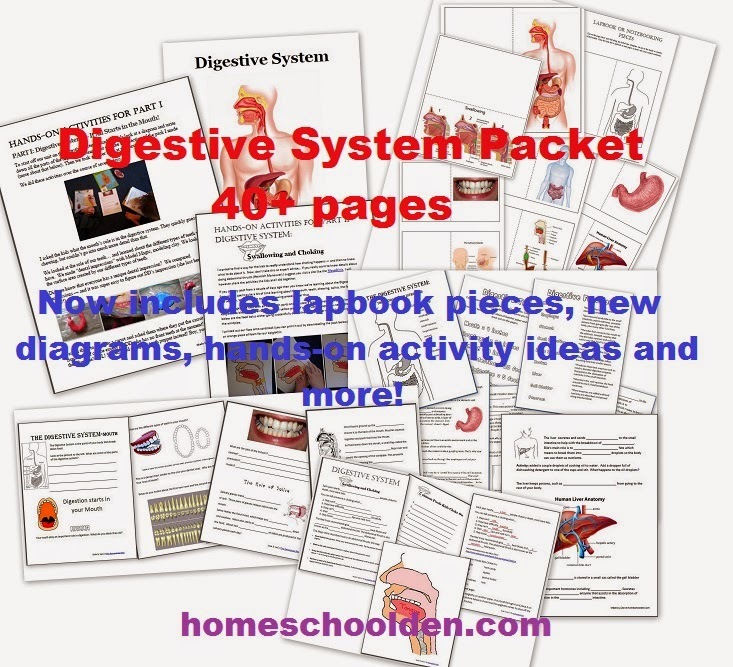 By the way, if you're studying the human body and have kids in elementary school, be sure to check out the phenomenal diagrams, information sheets and copywork on the human body by Homeschool Bits over at currclick (over 240 pages for $1.50!). 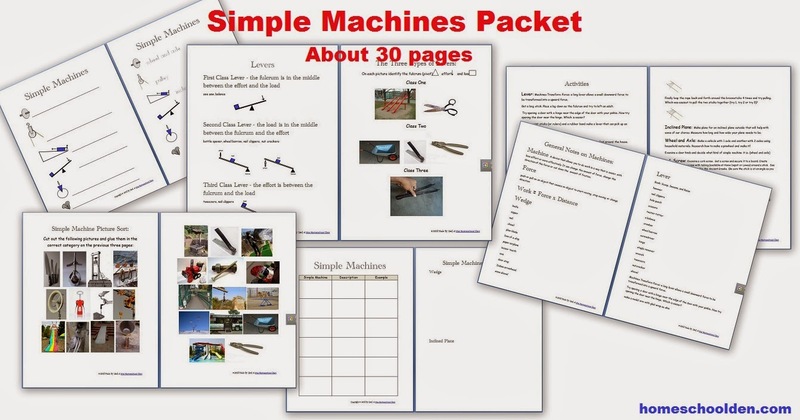 Here is the free 42 page sample if you want to check it out. I've been doing some reading and re-reading of Montessori philosophy this summer. 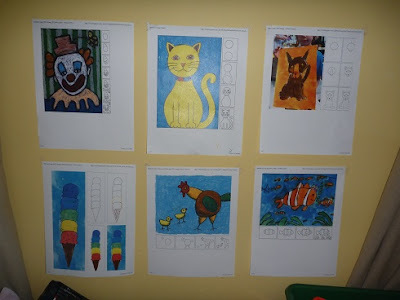 I thought I'd share my thoughts about how our studies -- specifically our USA unit study -- fits in with my interpretations of Montessori teaching in the early elementary grades. As I have three kids spanning the two age groupings (both 3-6 and 6-9), I use elements from both. **We will also start off the year with the First and Second Great Lessons. It has been nearly two years since we did the First Great Lesson (coming of the universe and Earth) and a year since our Second Great Lesson (Coming of Life-the geologic timeline). I plan to do these presentations and all the drama over a two or three-day period. 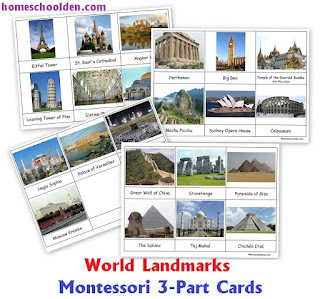 If you want to learn more you can visit Miss Barbara's Great Lessons page or Montessori Albums Great Lessons pages or explore the links put together by Montessori Mom. 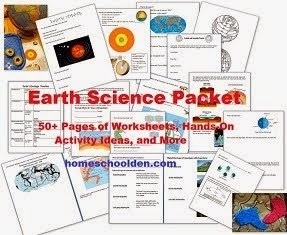 I think these lessons are really useful for giving the kids a broad overview of the universe, the world and life. Having this broad overview, they can then better understand how smaller ideas and details fit into the big picture. 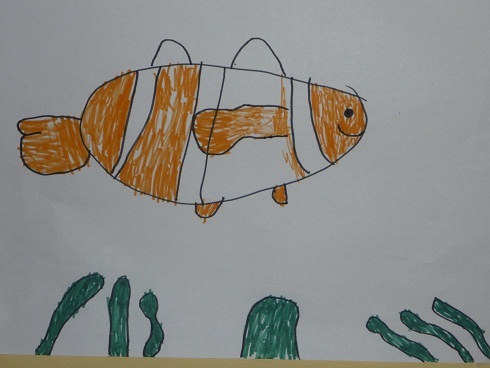 I like the idea that the kids gain a picture of how they fit into the universe and the immense timeline of life. North America mapwork, What is the country like? What are the major rivers, mountains and bays? USA pinmap What is the climate like? 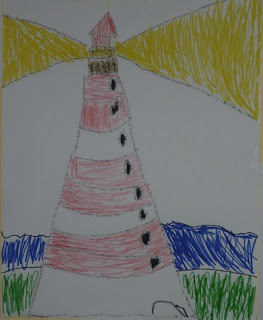 **One issue that I have with myself and our homeschooling is that element of self direction and self-led learning. The kids definitely have their areas of interest. LD, for example, reads and follows his passion for science. You will often find him picking up and reading chemistry, physics book or reading through our vast Horrible Science collection. He designs and sets up his own experiments (often with help from Mom and Dad to gather materials, etc.). But when it comes to other units of study, I often bring forth the materials and we explore topics that I have sought out and set forth. Anyway, just wanted you all to be aware that there is a beautiful element to Montessori philosophy that is under scrutiny for our homeschool. 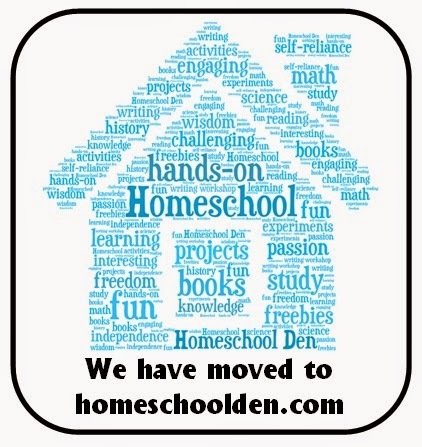 I am tossing up changing our homeschooling style a bit -- to be both more structured and more autonomous and independent for the kids. 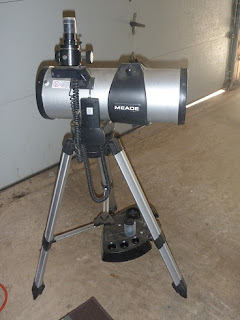 I'm still thinking this through though before I can share anything further here in blogland! ***OH MY GOODNESS!!!!!! 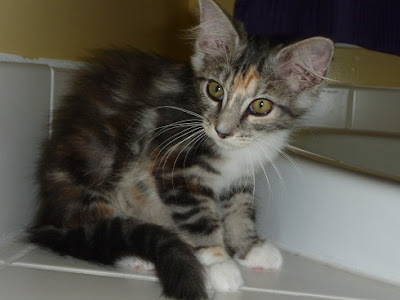 -- I wrote this post and had this set to send out since we were on holiday visiting family. While we were away I found out that I was the winner of Karen Tyler's year long Montessori training class. I've had a sneak-preview of the albums and what we will be learning over the course of this next year. (My class starts Sept. 1! Hooray!!) It BLOWS MY SOCKS OFF!!! I am a voracious reader and have pretty much read all the books and resources I can get my hands on regarding Montessori philosophy and stuff... Karen's albums make me feel like I knew nothing... and I can't wait to get started learning and re-planning for this next year. The course is geared towards 3-6 but let me tell you, LD will benefit from my training course as much or more than little ED here!!! Anyway, stay tuned as I revisit our homeschool style and structure. I'm on a new journey and I'm SO SO excited!! I am busy planning and getting ready for this next year. I couldn't find exactly what I was looking for and so made these 3-part cards for our upcoming unit study on America. Cards include landmarks such as the Statue of Liberty, the Grand Canyon, Yellowstone, the White House, Mount Rushmore and more. 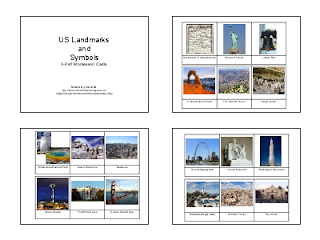 UPDATE: You can download the free US Landmarks and Symbols cards at our new location. This link will take you there. 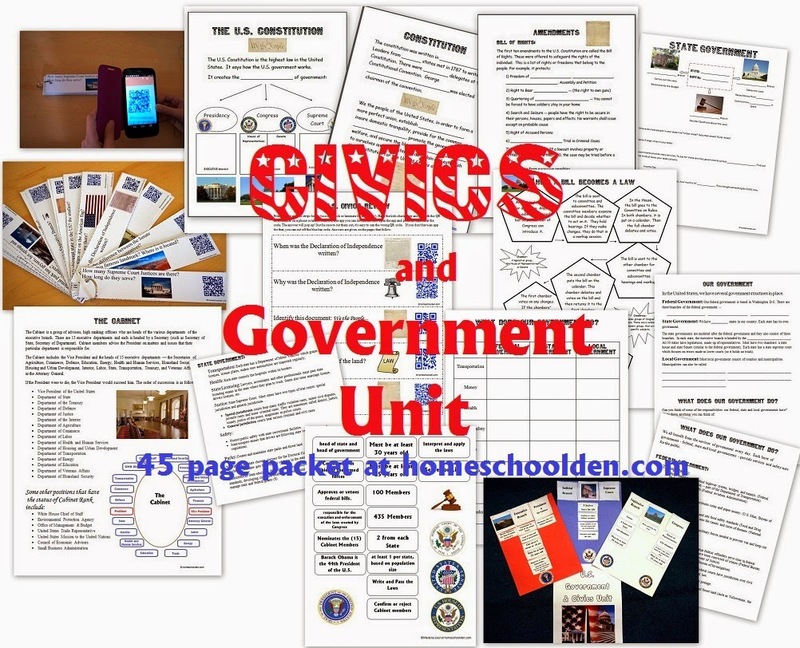 We also have a new 45-page Civics and Government Packet that you may be interested in. 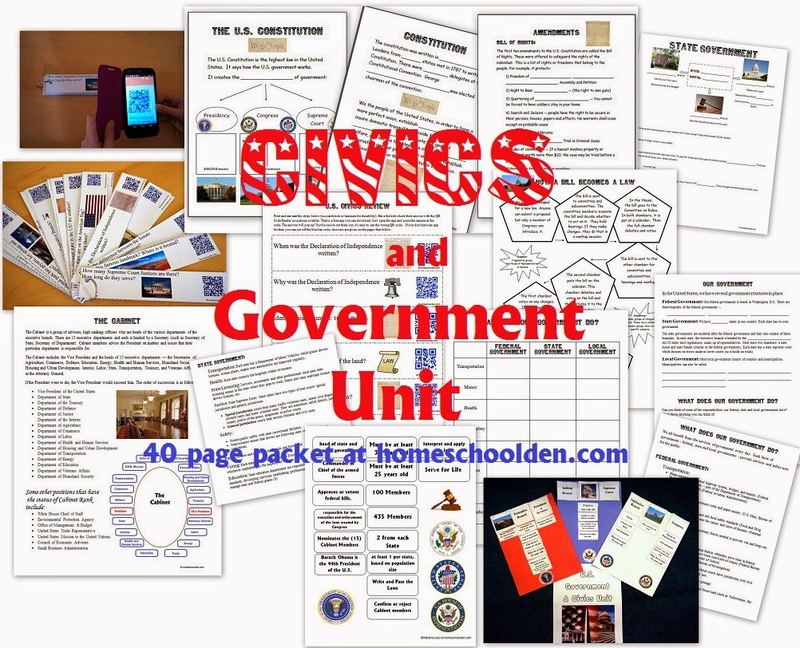 It covers the 3 branches of government and includes civics cards, notebook pages and much more. the longest river-the Nile has been long thought to be the longest river, but an expedition in 2000 found the Amazon River to be 64 miles longer. 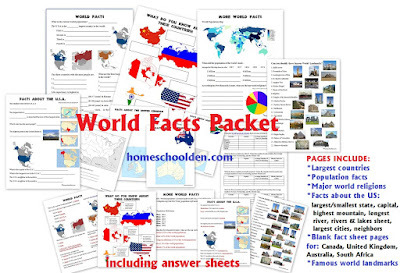 If you are interested you can find our Let's Learn about the World sheet here. the Great Seal etc. etc. Here are the topics we'll be covering over a two or three week period (or so) in this introduction to the U.S. I typed it up for myself, but you can click here to see that sheet. I have a lot of wonderful history resources from my years of teaching a 7-10 year old class called "American History for Kids." We'll be doing tons of activities and readings selected from my numerous resources (which I obviously can't share because they are copyright protected). And another reason why I'm so excited is because my best friend here is going to do this same unit and we hope to do lots of trips together. Hooray! In a couple of days I'll share the fact sheet I made about the world. 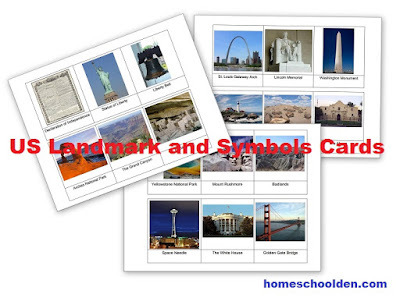 I'll be sharing my US Landmarks (Montessori type) 3-part cards on July 26th. (Left--Space Needle, Seattle, WA) Update, here's the link!! I love this cute rhyme/song to learn the 50 states. It's called 50 States That Rhyme. The kids loved their South America countries and capitals song (Rock the Capitals) and learned so much that I'm inclined to give this a go as well! By the way, for those of you who live in the US, I noticed that Target has lots of things in their dollar bin area (in our area at least) that we'll find especially useful this year -- US Presidents and world landmarks, for example. Since we live in the U.S., I also had the kids go over some basic facts about America. I have been doing lots and lots of planning and preparation for this next year. One thing I fell short on this past year was utilizing the amazingly wonderful art resources at Art Projects for Kids and Deep Space Sparkle. I was up late, oh so very late (3am!) working on all this (and other things which I'll write about in the next week or so). 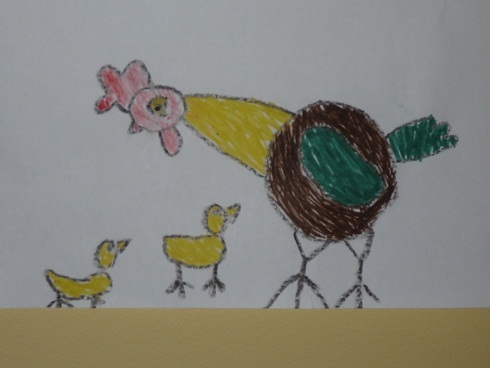 Since we have our very good friends coming to house-sit for us, I thought I'd hang some of them on the wall near our craft table since their two daughters are very artistically inclined. Along this same vein, I highly recommend the series Draw, Write Now if you haven't heard of them before. I went ahead and ordered two more books to add to our collection for this next year. I found a goldmine!!!! I am SO excited about the language flashcards I came across. Here are a few of the links to get you started if you are interested. 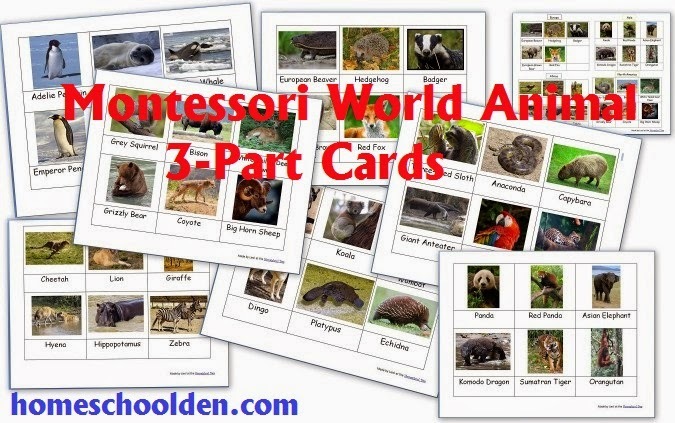 Flashcards -- Lots of pages of words in the foreign language of your choice. 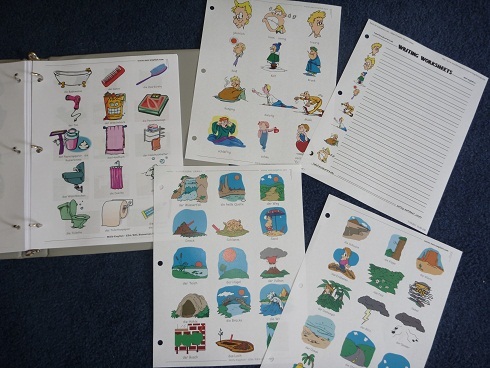 Make foreign language writing worksheets: select "custom animals worksheets"
cartoon words with blanks -- More or less the same as the link above, but another way to get there. This is where I was able to print out the page like in the photo on the right hand side. 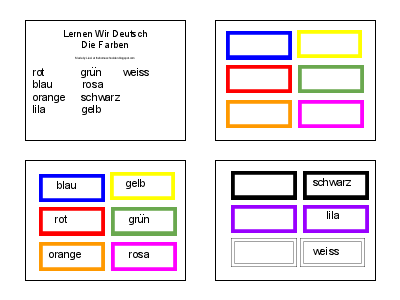 And for those of you just learning German -- here's another AMAZING resource... Little German readers over at carlscorner -- by Cherry Carl. 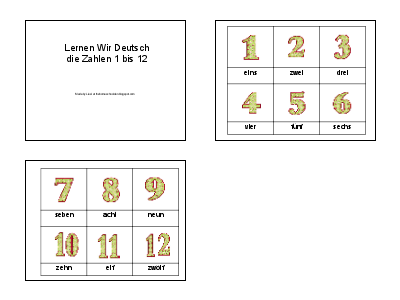 They have cute graphics and simple sentences -- perfect for young, beginning German learners!! I plan to use these extensively this year. carlscorner in general is a great place to browse if you have a child just learning to read (English). She has wonderful resources. 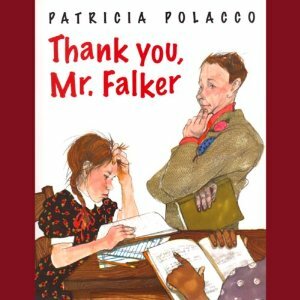 Another resource I have used with the kids is this old German reader: "My Very First German Book." This link should work, but if not you can try here instead. 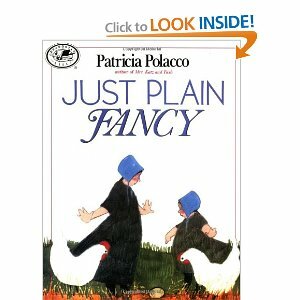 It's a bit quaint, but it really worked well with the kids and we'll pick it back up again this fall. 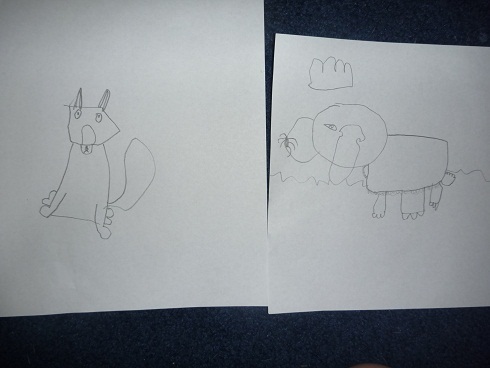 Her are a few of the printouts I've made for when we start back up with German after our summer holiday. 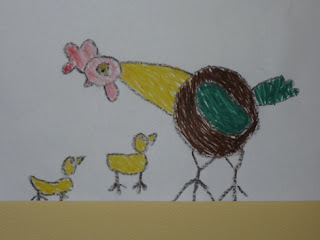 The kids know very, very little -- just the numbers 1 through 12, some animals and some of the colors. Basically, we need to start over. Our German-learning is pretty much all conversational. That said, it's been useful having DD's poems hung up in near the dining room table. For that reason, I've made some sheets that I can hang up for the kids to glance at as we work on new words and vocabulary. I'm not sure anyone else will find these of much use unless you speak a bit of German and are at a very beginning, basic level with your kids. But I may as well share, right? 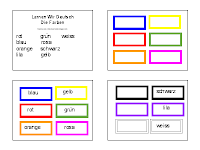 I'm using google docs which does not have umlauts (pair of dots ( ¨ ) above a vowel) -- so those are obviously omitted on these sheets and I'll write them in with a pen. This is just a simple sheet. The kids will color in the starburst and write the color names. Basic greetings: Good morning. How are you? Thanks, good. Not so good. I'm tired. etc. What is that? Basic words like table, chair, book, picture, pencil, pen, window etc. 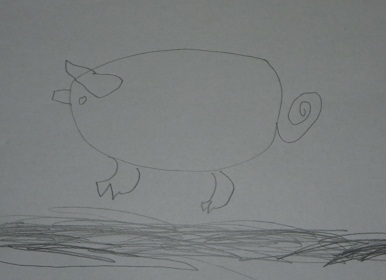 Was ist das? Wo ist...? Welche Farbe hat...? printout link. Clothing words and the second page just has pictures of clothing. 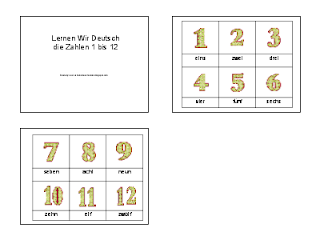 die Zahlen 1 bis 12 -- German numbers which can be used as three-part cards. 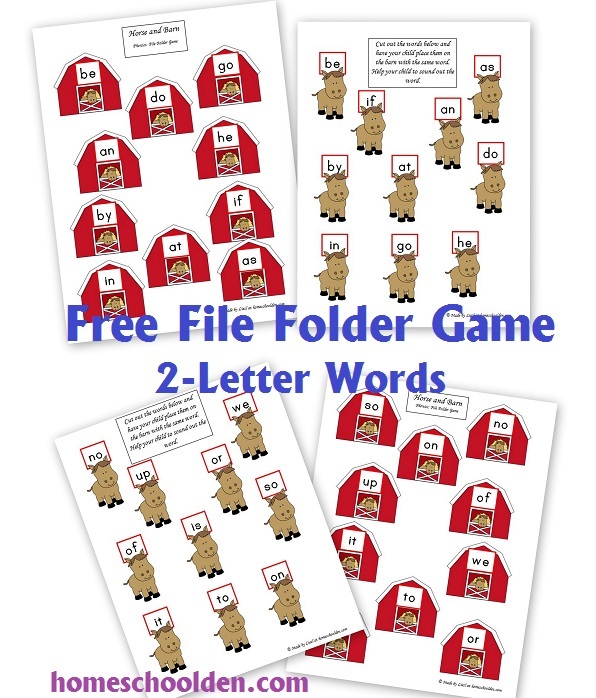 You can find all these worksheets on the Free Downloads Page as well (scroll down to the bottom to the blue section). We set up two slip-and-slides on the "not so steep" section of our yard. The kids had a blast! 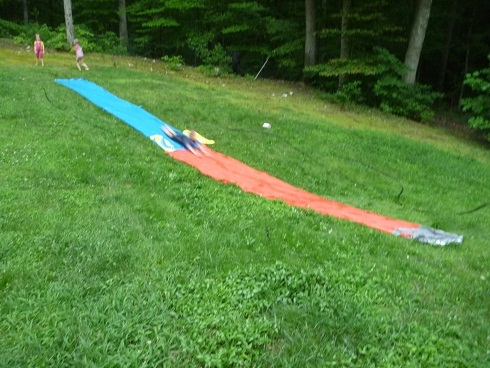 LD went so fast he'd shoot past the the end of the second slide and continue onto the grass another 7-10 feet! And by the way, LD is blurry because of speed! 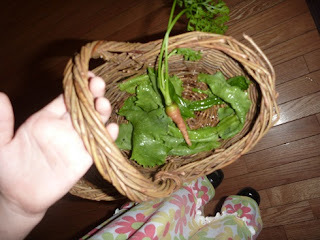 DD has been devoted to harvesting the garden. She goes down almost daily to gather lettuce, carrots and snap peas. She washes everything, cuts it up and makes us a salad. 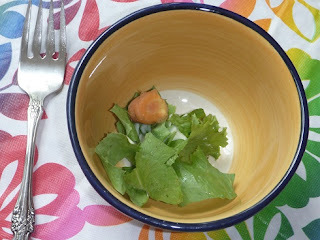 It's so sweet -- and wonderful to get them so excited about eating veggies! She makes ED wash her hands to come eat a salad. "It's like I'm the Mom," DD told me proudly. 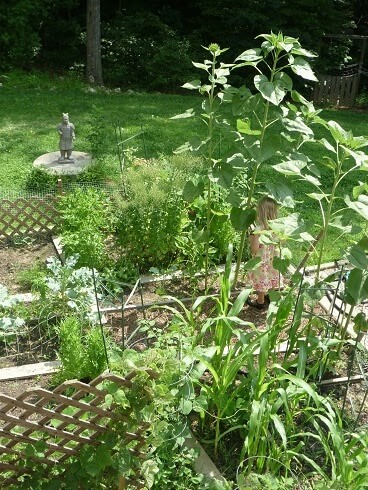 Look how tall the sunflowers are. DD is standing underneath it. They are close to 9 feet tall now! 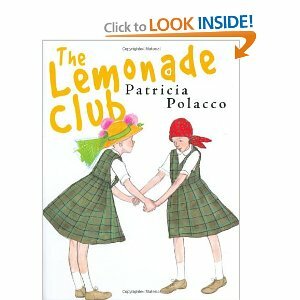 Last year my sister's three homeschooled kids each wrote a novel. I hope to get a chance to read their work when we visit them. Her kids are 8, 11 and 13. Amazing! It's not yet our season for writing things like that, but someone in one of the groups I visit shared this link for kids who plan to write their first novel. Here is the elementary "Young Novelist" workbook. It looks great! Here is the link to the writing workbooks for all three levels (elementary, middle and high school). As I said, this is early for us, but wanted to share in case some of you have older kids or kids who write especially well. PS--Just a note about my sister and her family. As some of you may recall, my sister and brother-in-law lost their house and all contents in a flood in Nashville, TN a bit over a year ago. They decided to buy instead of rebuild (at least for the moment). They bought a 30 acre farm with a huge lake. We can't wait to visit them in their new abode!! 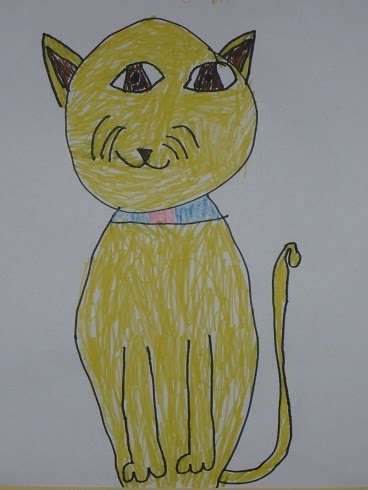 This activity was made by a teacher named Debbie. 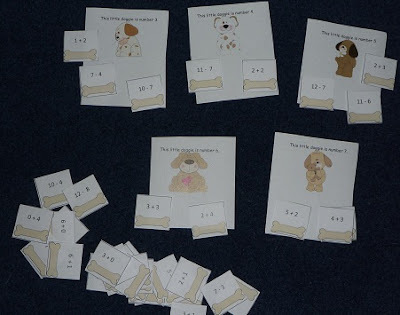 It's called Feed the Dog and has problems such as 10-7, 12-8, 2+5 and 3+2. I saw it at Oceans of First Grade Fun. 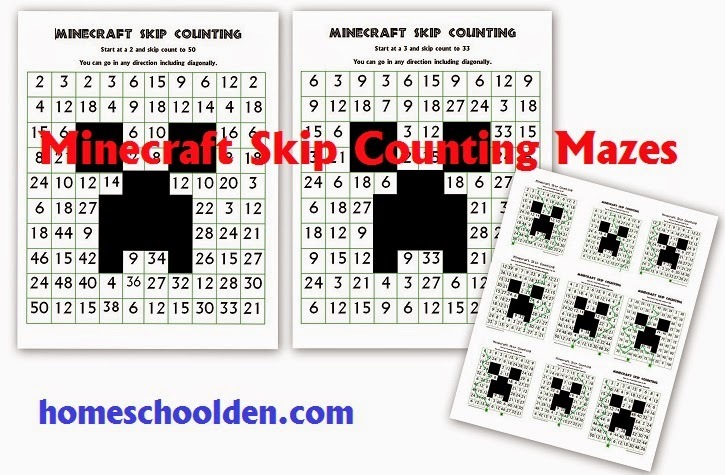 You'll find the link to print out the game there. 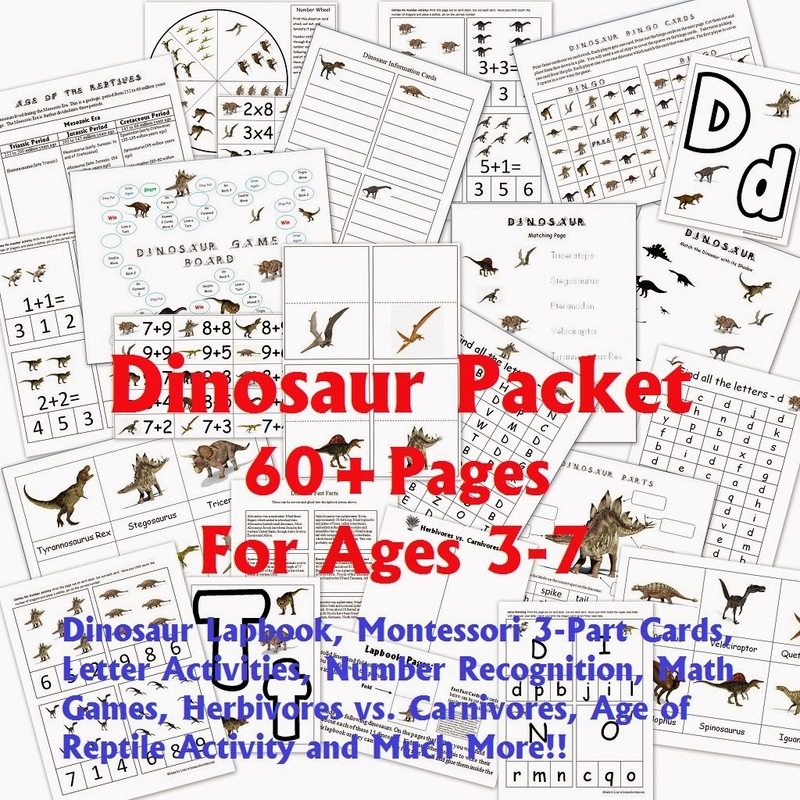 If you are studying the Amazon and are planning to do a lapbook, notebook or unit study, be sure to check out the fabulous work done by Dynamic 2 Moms. I was so impressed I just had to give a shout out! 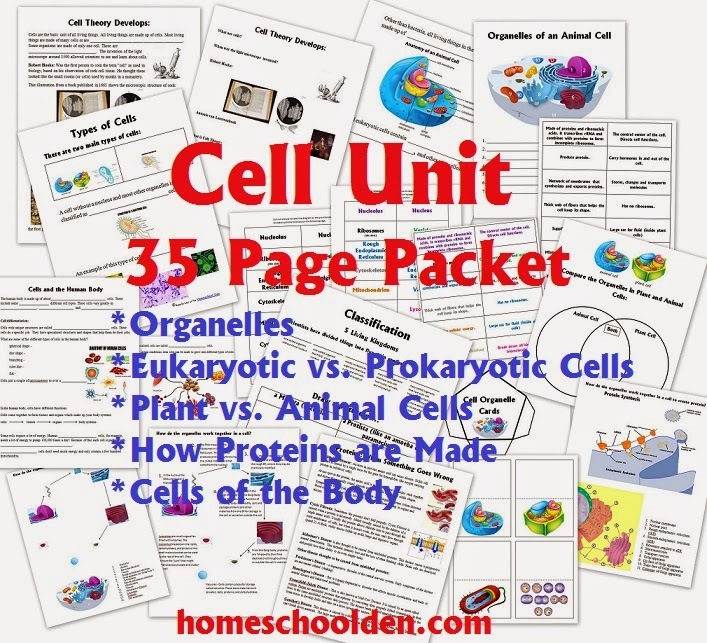 Scroll to the end of the page to see all their printouts. Wow! 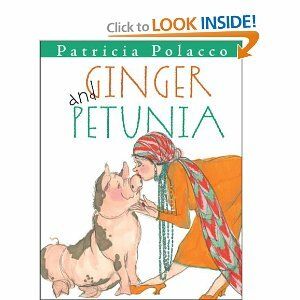 The past few weeks, we've been reading through many of Patricia Polacco's books. I know as an adult, I get fixated on one or two authors (Paullina Simons--The Bronze Horsemen series, Jodi Picoult, Philippa Gregory, Rick Riordan). And LD has his favorite series too reading through all the Magic Tree House books, Beast Quest series (he's on number 36), Andrew Lost and the A-to-Z Mysteries. 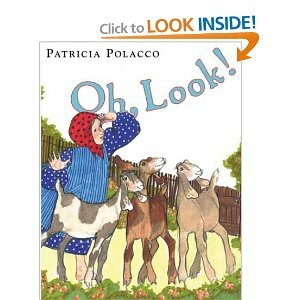 We have all really enjoyed Patricia Polacco's books -- all three came running when I pulled them out. (Often I read them while the kids were eating.) 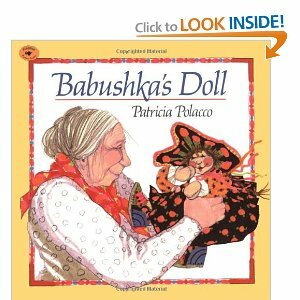 I don't know if the kids had a particular favorite, but I loved the message of Babushka's Doll (don't pester and nag all day) and Just Plain Fancy (appreciate being who you are). 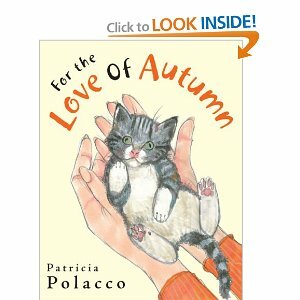 This is a cute story about a woman/teacher whose cat runs away. This is the true story of a girl who gets cancer -- and the special teacher who helps her through the year, who also has cancer. 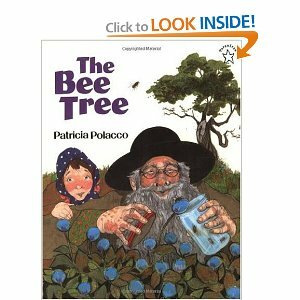 This topic was a little heavy and I decided only to read it to my eldest.